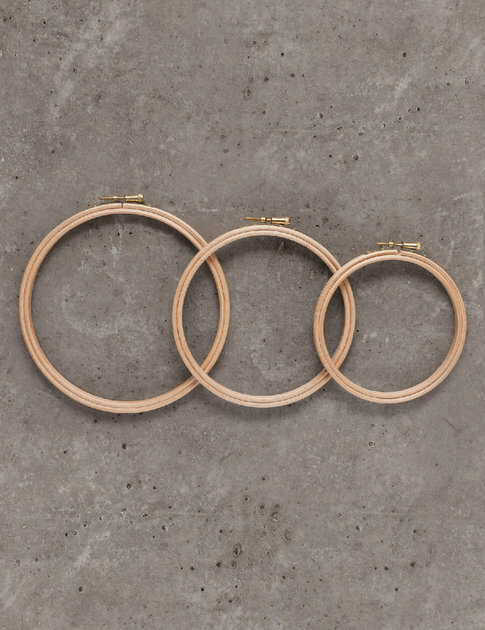 A round embroidery hoop in wood is a valuable tool when embroidering. You get a good grip, where the fabric is held stretched and the pattern is in place. The hoop is available in four sizes: 13 cm, 16 cm, 19 cm, and 22 cm in diameter.